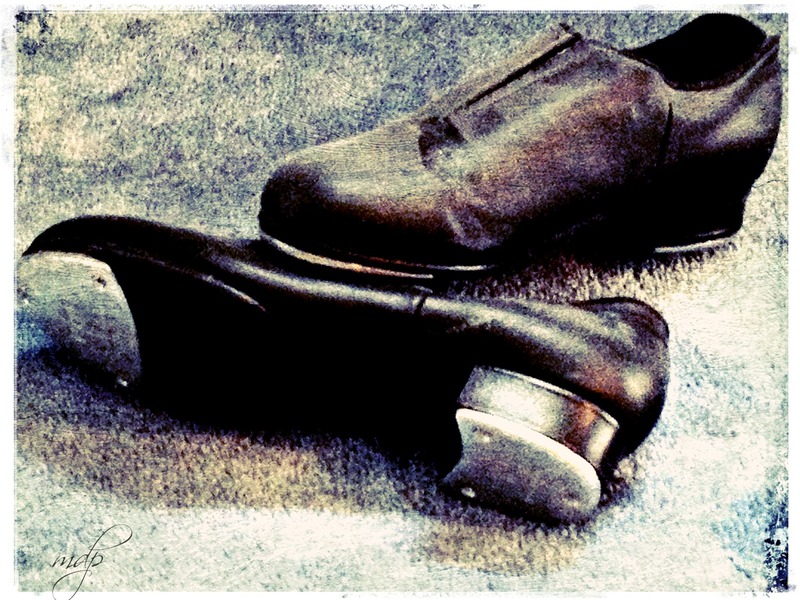 My tap shoes gathering dust. The dark blotch on the top shoe is my fingerprint. across space and polished floors. so I danced with Judy Forkey, instead. Later the rage was tap. on the day of their lesson. Intrigued by the thought of leftovers.